The Pathfinder program is a Christian Organization for young people grades 5-12. 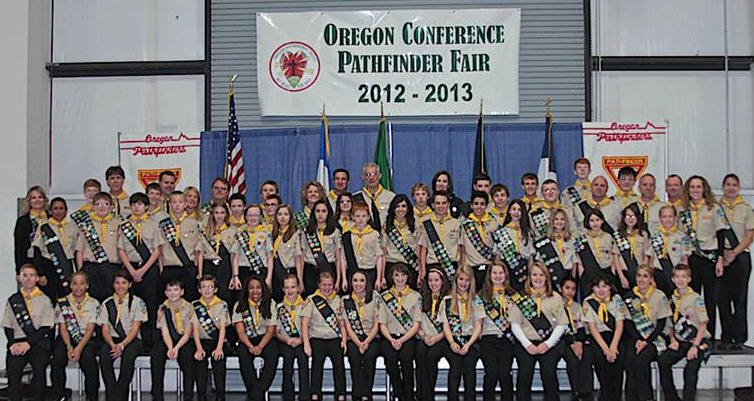 Today, there are more than two million Pathfinders worldwide. Youth learn to share and care about others as they become involved in community service projects and go on short-term mission trips. At a Pathfinder Club meeting, young people learn skills that help them to become leaders within their communities, schools and churches. Skills in household arts, crafts & hobbies, health science, nature, outreach, recreation and vocation are taught. There are many different areas, in which a youth has opportunity to serve, such as: dental, medical, optical, building projects, cleaning up a community or helping with Vacation Bible Schools. Though Pathfinders is an organization of the Seventh-day Adventist Church, one need not be a church member to become a Pathfinder. Youth can feel proud of belonging to a group that encourages and helps them to be the most caring people they can possibly become. Teach Pathfinders skills and hobbies that will make their lives meaningful and productive.